Carrie Fisher’s Best Onscreen Moments: ‘Star Wars,’ ‘When Harry Met Sally’ and More! In her 40-plus-year acting career, Carrie Fisher has played numerous unforgettable roles, from the fearless Princess Leia in Star Wars to the beloved Marie in When Harry Met Sally. In the wake of the movie icon&apos;s untimely death at age 60 on Tuesday, December 27, Us Weekly has rounded up Fisher&apos;s five best onscreen moments, which you can revisit in the video above. 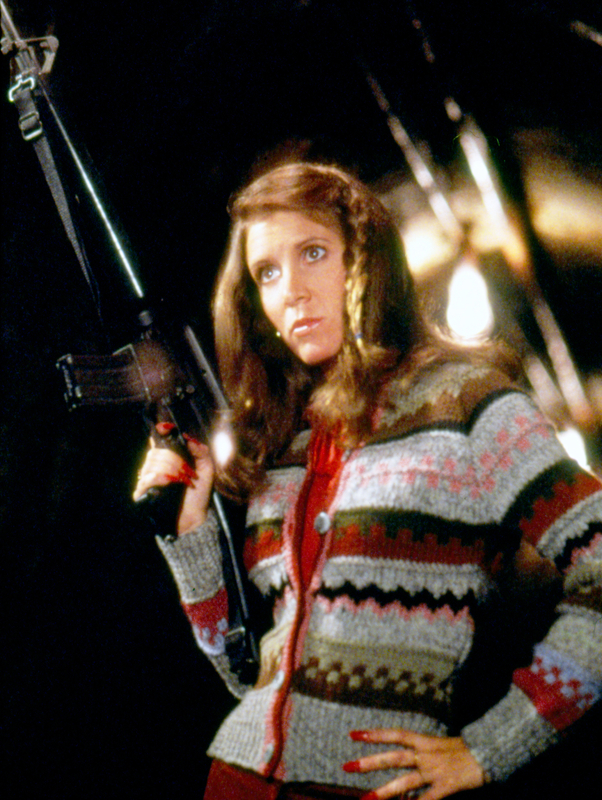 Fisher&apos;s breakout role was Princess Leia in Star Wars, also known as Star Wars: Episode IV — A New Hope, the first installment in the original space opera trilogy. Costarring alongside Mark Hamill (Luke Skywalker) and Harrison Ford (Han Solo), the then-21-year-old movie star led the Rebel Alliance to destroy the Galactic Empire&apos;s Death Star space station. While filming, Fisher had an affair with Ford, now 74, who was married to Mary Marquardt at the time. Fisher starred opposite Saturday Night Live duo John Belushi and Dan Aykroyd in The Blues Brothers, a cult classic musical comedy set in Chicago. She portrayed Mystery Woman, a gun-toting bride abandoned at the altar by Jake Blues (Belushi). "I must now kill you and your brother," she warned in an impossible-to-forget line. 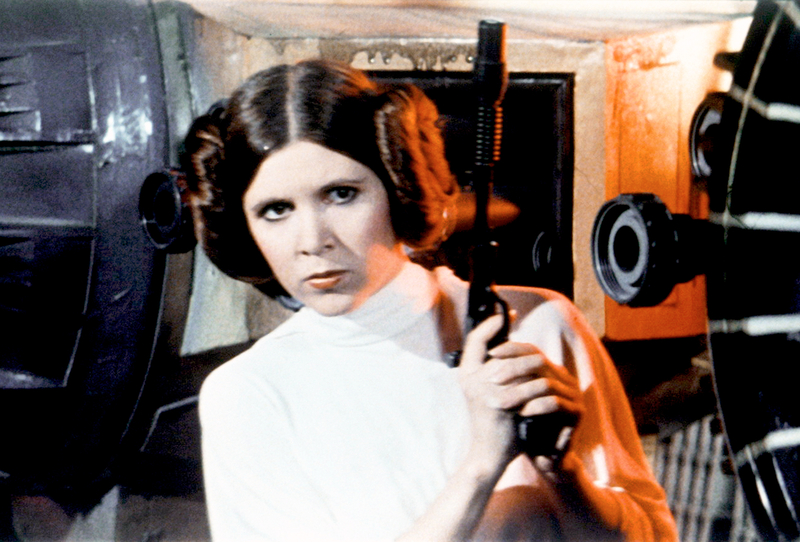 In Episode V of the Star Wars films, Fisher reprised her badass role as Princess Leia as she and her friends fought against Darth Vader (David Prowse). The movie has since been regarded by many as the finest chapter in the saga and remains one of the highest-grossing films of all time. 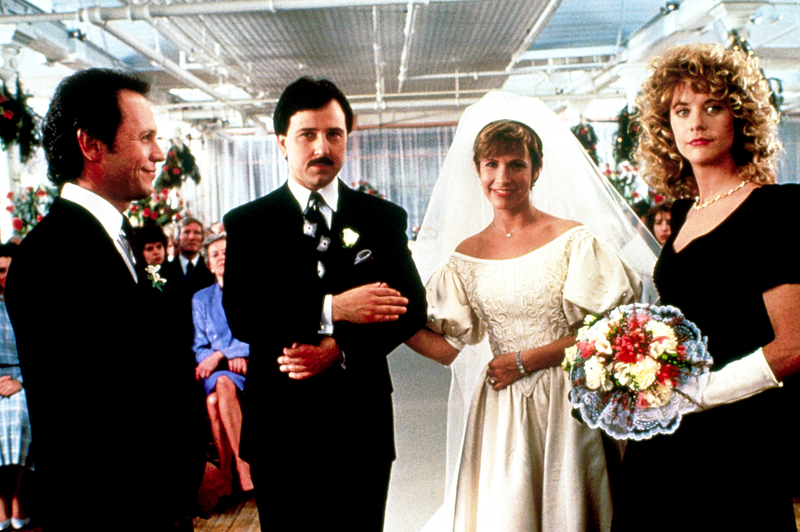 Though many cinephiles remember Meg Ryan and Billy Crystal&apos;s diner scene as the highlight of When Harry Met Sally, Fisher, too, played a major role as Marie, Sally&apos;s staunch best friend. Throughout the film, Marie offered plenty of wisdom, including the famous line "I&apos;ve got the perfect guy. I don&apos;t happen to find him attractive, but you might. She doesn&apos;t have a problem with chins." Best known for her onscreen contributions, Fisher was also a successful author. She penned the semiautobiographical 1987 novel Postcards From the Edge and the 2008 memoir Wishful Drinking, which was based on her eponymous one-woman stage show and later adapted into an HBO documentary. Showcasing her incomparable wit, Wishful Drinking gave fans an uncensored glimpse into Fisher&apos;s personal life and mental health. Watch the video above to revisit Fisher&apos;s best onscreen moments!